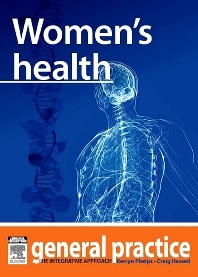 Women's Health - General Practice: The Integrative Approach Series covers Breast Disease, Gynaecology and Menopause and details the medical and consulting knowledge required of a General Practitioner. There are approximately 400,000 consultations for breast symptoms each year in general practice in Australia. The vast majority of these will be due to hormonal or benign breast changes.The general practitioner is the first port of call for the effective investigation of these symptoms and, importantly, to exclude or confirm breast cancer. For the thousands of women who are diagnosed with breast cancer each year, whether through mammographic screening or as a result of the investigation of a breast change, the GP provides information, treatment, surveillance and support throughout the patient’s journey, as a member of the patient’s treatment team. managing the woman’s care effectively, we also benefit the health of her children, her partner and, often, her parents. The menopause transition can be a time of great change and disturbance for some women. Symptoms such as hot flushes, night sweats, mood swings and vaginal dryness can greatly affect quality of life and, in most Western countries, around a quarter to a third of such affected women will seek medical attention.